Phase 2 EARLY | Redux & Co.
Great discussion going on KS page. I’m not sure who checks the KS page and who prefers updates like this via email. For those of you who have been active on the KS page, I apologize if you’re reading this again. I’ve updated it a bit in parts, and wanted to loop in our team mates who’d like to tune-in via email on our next moves. This gets a bit long, so thanks for reading. LMK if you prefer shorter updates more often. 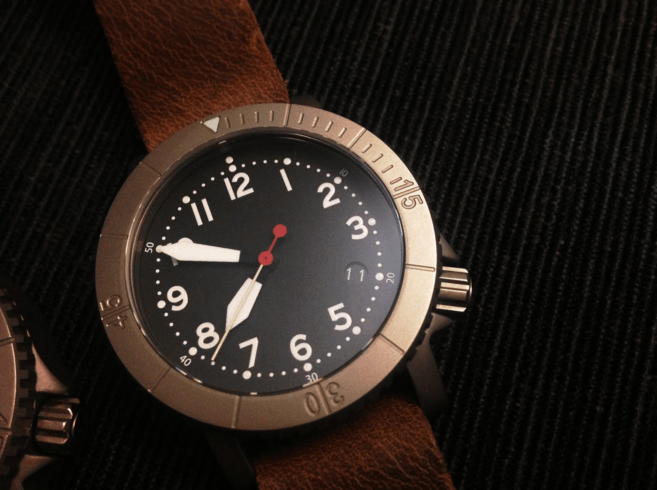 The 39mm is DEFINITELY getting made. There’s no question about that! I’m thrilled that you guys with bigger wrists have come along on the ride and believe in my vision for COURG as is. That said, if we can develop the 42mm on the same timeline, I’ll make it happen. I’ve started the discussion with our manufacturers about the 42mm and they will get back to me ASAP so we can plan accordingly. A few factors will go into this: Added cost of materials, new molds, and as many of you already suggested an MOQ, which may very likely be 300. Also, IF this shapes up, we will only go with one variant. But hang tight. Ok, so you all made it clear within 3 hours of launch that you’re serious about getting airborne, and so I’m moving up the initial timeline and we’re going to get underway with planning and we’ll just debrief new backers as they join the mission. I’m interested to start figuring out the spreads across our 3 days of discussion that ranged across add-ons to stretch goals. I have a spreadsheet of suggestions and ideas from you all and to help me evaluate what’s technically feasible/desirable, and prioritize our mission critical decisions to help us focus on the mission. If you don’t see your idea/suggestion on the list, don’t be offended. I may still be awaiting a query response. I want to hear from you all because it will help me navigate, so please stay tuned for the survey. I’m looking forward to brainstorming with you all about the caseback. Of course, we already have a design, but in my mind that’s always been a placeholder that I wanted to work on with backers. I’ll also say that I’m thrilled I haven’t heard a single backer ask for a see through caseback — not one! Thanks for being awesome and understanding the tool we’ve got here y’all. So, I’ve heard you guys loud and clear about an exclusive limited edition KS founder’s caseback design and accompanying serial numbers. Queries in on the serials. I want to say that it is highly unlikely I’ll be able to deliver specific numbers, so let’s just operate with that understanding. Any of you guys into photoshop or illustrator and want to start the discussion on caseback design? Could start with some links. Or you can message me or email me. Either way, that’ll give us something constructive to focus on that everyone will enjoy on their COURG! And I really appreciate how you all have kept discussion respectful and well reasoned. Thank you, and hope you have a chilled weekend. I’m unplugging for a couple days to regroup/refresh with the family and will get to questions and comments just as soon as I can. — elbert, over & out.